Short Business Description: Dr. Brandi Johnson maintains a business address and also offers mobile services. Dr. Johnson practices with Torque Release Technique and protocol, the newest chiropractic adjusting technique that does not require the patient to be cracked, popped, or twisted. Using a state-of-the-art adjusting tool, the Integrator, adjustments are delivered gently, quickly, and effectively. With neurological reflexes we locate the primary areas of spinal interference, to be sure you get adjusted where and when you need it. Not a quick fix, these adjustments clear neurological interference allowing the body to heal itself (as it was intended.) Our focus is to find the root cause of that which is keeping your body from functioning at its’ best, and offer strategies to restore body, spirit, and mind. Nutritional Analysis, Ionic Foot Detoxes, Aroma Touch therapy, cold laser, and soft tissue therapies are also offered for your benefit. Short Business Description: On the road to vibrant health? Shankara represents a rich tradition of healing that goes back thousands of years – Ayurveda. We offer full treatment programs, personalized cleanses, yoga and ancient treatments in a professional, relaxing environment. Wellspring Chiropractic and Acupuncture Center is a general wellness practice, established in 1990. 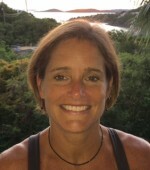 Dr Bonnie Walker is a primary care chiropractic and acupuncture physician, licensed to diagnose, who maintains adjunct staff privileges at Watauga Medical Center. Our emphasis is on patient centered, integrative health care for acute or chronic problems as well as lifetime wellness support and education. Classical Chinese acupuncture and moxibustion; Chiropractic and neuromuscular therapies; Nutrition, exercise, and lifestyle counseling; Chinese herbal formulae & nutritional supplements. Massage is available by appointment. female reproductive system problems such as painful or irregular cycles, fibroids, menopausal symptoms and even infertility! A no-cost 10 minute consultation is available by appointment to see if our services can help you back to health, naturally! Call 828-265-0001.